Feast now so you can feast later! a risk, just throw it away. Many foods, such as soups, cooked vegetables, breads, pastries and cookies, can last even longer when put in the freezer and will come out just about as good as fresh. Veggie leftovers have many wonderful uses, try them in omelets and quesadillas or throw them on top of a frozen cheese pizza. Chilled veggies make a wonderful addition to a basic salad and can also be made into a soup when run through a food processor. 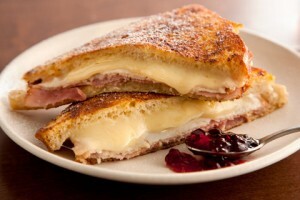 The Monte Cristo: A heavenly way to enjoy ham leftovers! It's no secret that leftover meats make for stellar sandwiches but take your sandwich over the top with extra flavorful condiments. 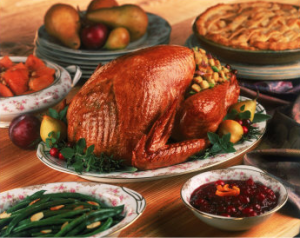 Try adding cranberry sauce to mayonnaise, using deviled egg filler as a spread over fresh veggies or even turkey, ranch added to sriracha makes an unexpectedly delicious addition to a basic sandwich, or take a tip from the monte cristo sandwich and try grilling a traditional ham and cheese sandwich and dipping it in yummy sweet jam. Leftover don't have to be a burden, consider it an extended vacation from cooking. 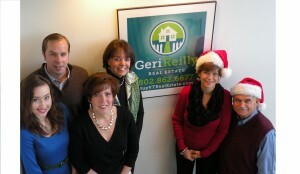 Happy Holidays from all of us at Geri Reilly Real Estate!